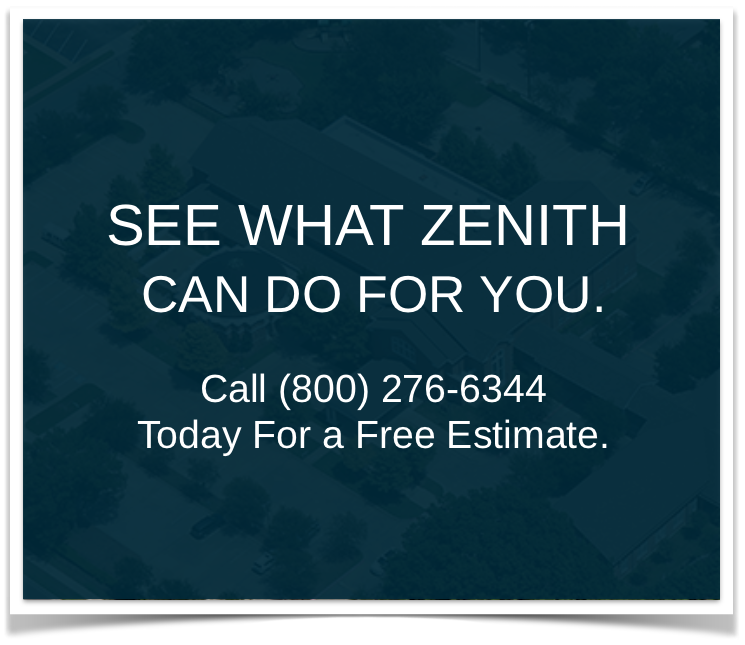 The Install: Coal Tar Pitch is a unique roof system. 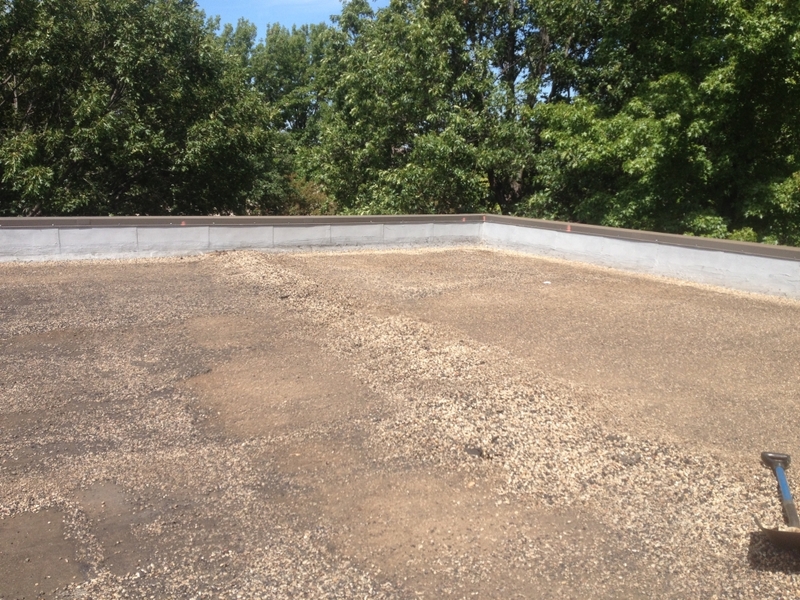 This particular project was a roof over 30 years old. The section of building had been abandoned for years, but the client desired to start using the offices again. 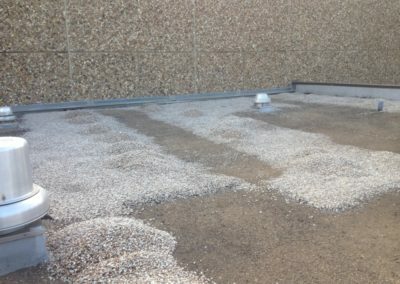 The roof had a few leaks and the owner wanted to ensure the roof would not leak. 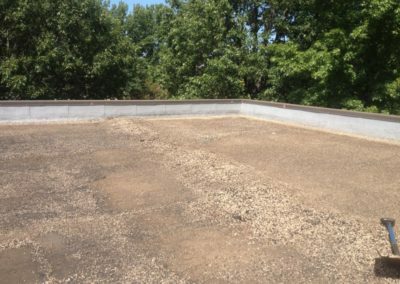 After an inspection with the specifying architect, it was agreed that a Durapax S-1000 Coal Tar Roof Restoration – Flood Coat would be the right method. 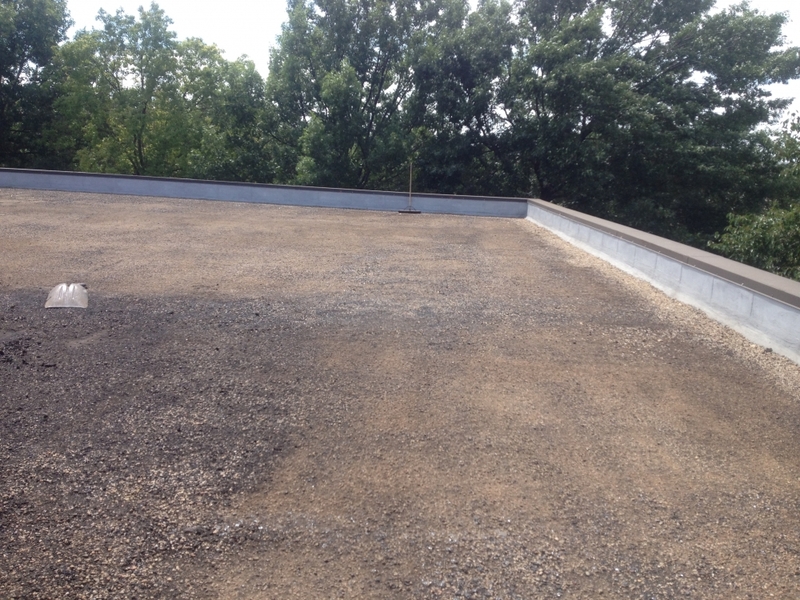 The roof was in overall good condition. 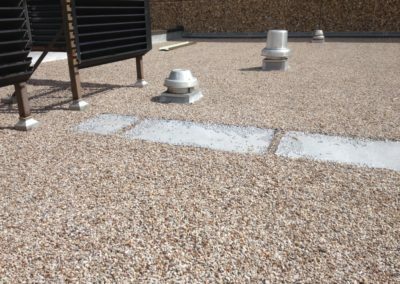 The flashings and penetration pans had been replaced in recent years. 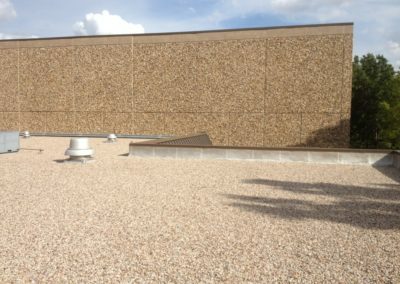 The Durapax system would provide a 10-year warranty and the security the owner needed before remodeling the office area. 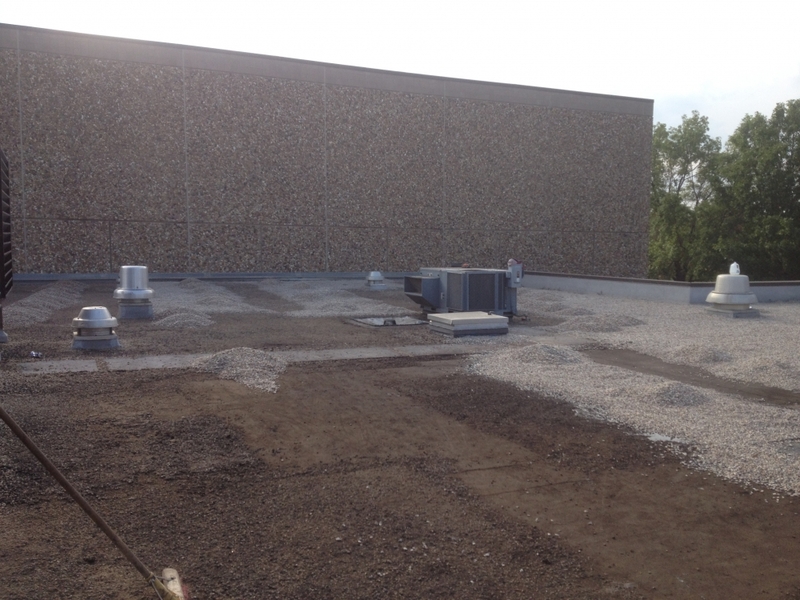 As with many of our projects, access was an issue with this building. One side had a large warehouse and two sideshad a large, soft grass area. The only access was directly above the entry doors by reaching through trees. Our telehandler barely reached, but worked perfectly for removing the excess gravel and loading the new. 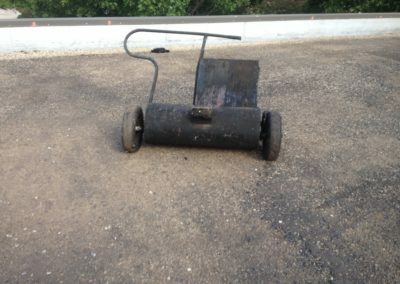 The project began by sweeping and removing all the loose gravel. The drains were recoated. 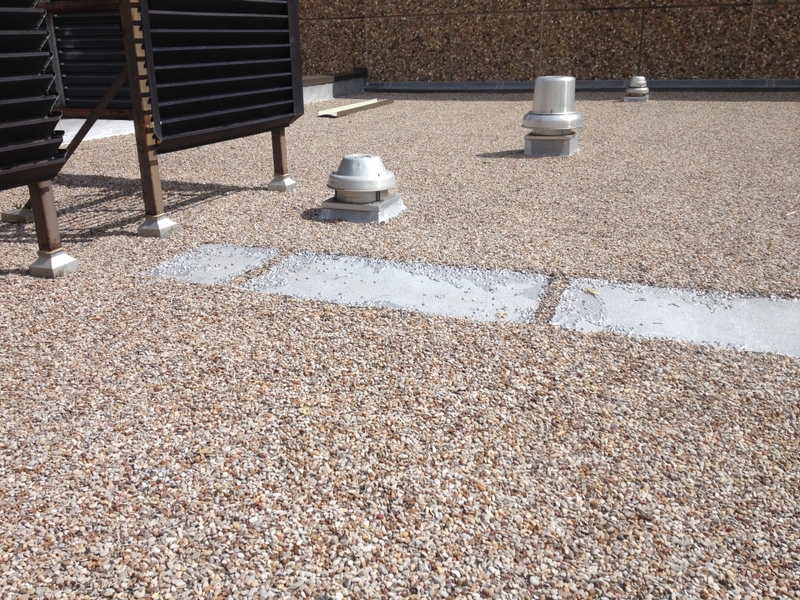 New Durapax Coal Tar was heated in a roof kettle specially designated for only Coal Tar. 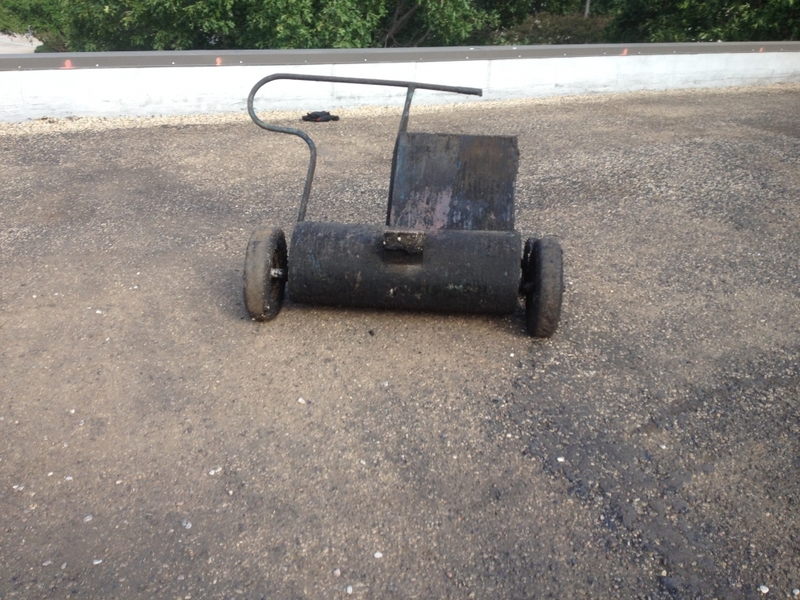 The kettle pipe was run to the roof and the Coal Tar was pumped to the roof. 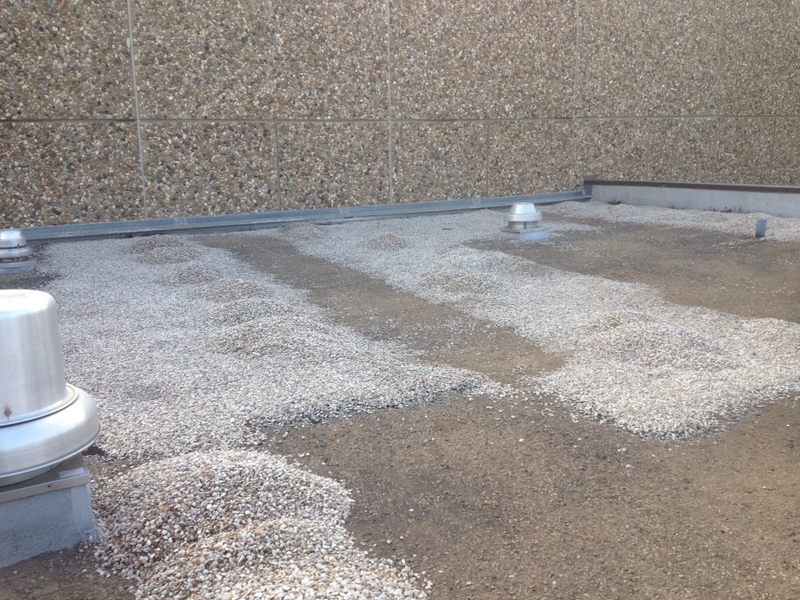 New gravel was loaded and spread in the Coal Tar. As final touches, all base flashings were recoated with new aluminum paint. Penetrations were sealed and pitch pans topped off. 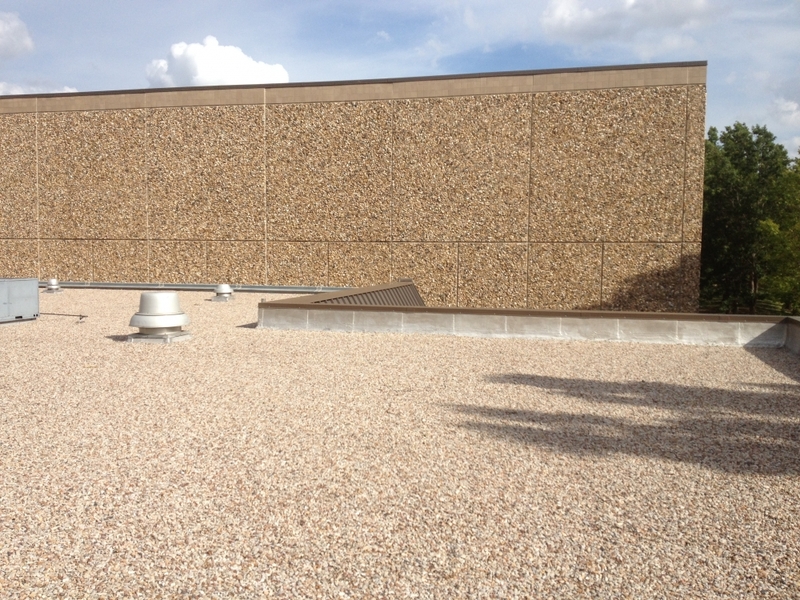 The metal coping was replaced with new Berridge medium bronze. 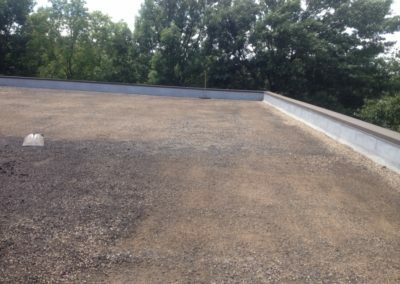 Despite this project really being only a flood coat and gravel, it looked & will function like a new roof for the next 10 or more years, one of many advantages of a Coal Tar Pitch roof system.